Use the buttons to display the 1s and 2p atomic orbitals that make up the molecular orbitals. There are four molecular orbitals derived from the 1s and 2s orbitals. 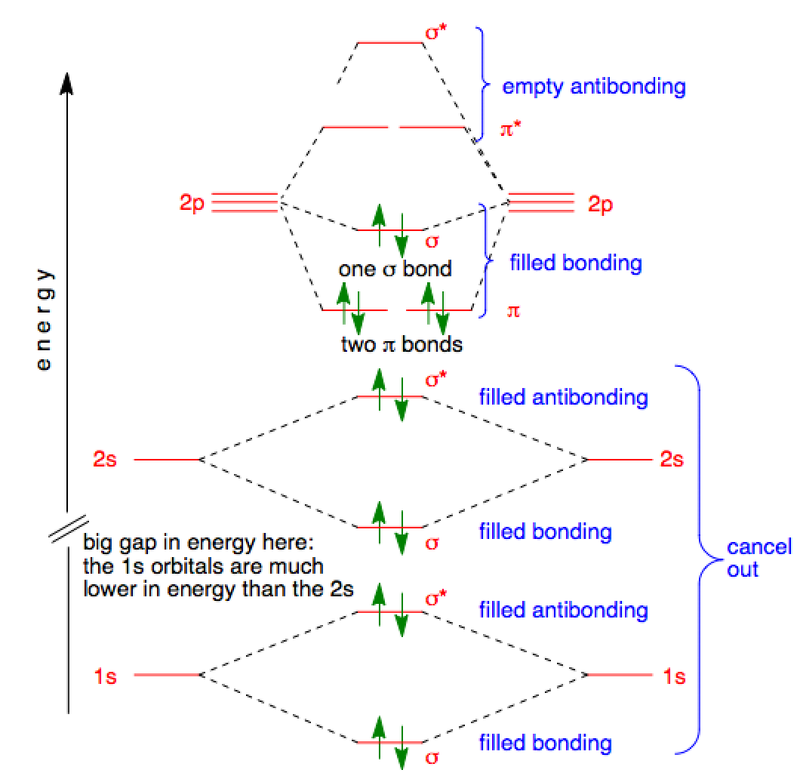 ... and three empty antibonding orbitals.